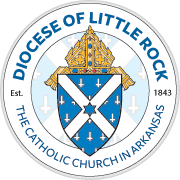 We list all regular Mass times for Catholic parishes in Arkansas. This includes daily and weekend Mass times. However, we do not list Mass times for special holy days because those vary from holy day to holy day throughout the year. If you are looking for a specific Mass time for a holy day in your area, please contact a parish directly. You will find contact information for all parishes in our Parish Directory. Unless otherwise noted, Masses are in English. To find Mass times in other languages, click the "language" button in the "Search Mass Times" box to the left to see times only in a specific language. St. Agnes Church Mena 5 p.m.
St. Edward Church Texarkana 5 p.m.
St. Elizabeth Ann Seton Church Ashdown 11 a.m.
St. Louis Church Camden 8:30 a.m.
Sacred Heart Church Foreman 9 a.m.
St. Agnes Church Mena 9 a.m.
St. Agnes Church Mena 5:30 p.m.
Our Lady of Good Hope Church Hope 8 a.m.
Immaculate Heart of Mary Church Magnolia 6 p.m.
St. Louis Church Camden Contact parish for Mass time. Immaculate Heart of Mary Church Magnolia Contact parish for Mass time. St. Edward Church Texarkana 6 p.m.
St. Louis Church Camden 6 p.m.
St. Barbara Church De Queen 6:30 p.m.
All Saints Church Mount Ida 10 a.m.
St. Edward Church Texarkana 9 a.m.
St. Louis Church Camden 7 a.m.
St. Barbara Church De Queen 8:30 a.m.
St. Agnes Church Mena 8:30 a.m.